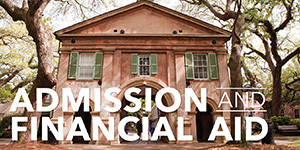 Time to get your muse on, from high art to Lowcountry blues. Charleston is America’s original artists’ colony. Throughout its 300-plus-year history, our city has been a playground for painters, jazz musicians, playwrights and more. This is where the New World’s first public theater was established as well as the country's first resident ballet company and its first museum. 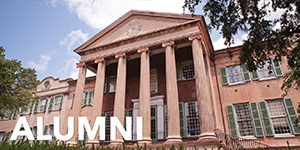 The College of Charleston plays a leading role in the cultural life of the city. 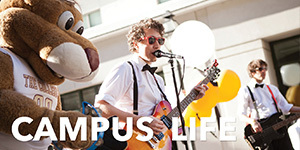 The Cougar Activities Board brings in big-name bands, movies, comedians and inspiring speakers. The School of the Arts stages multiple plays, musicals and operas every semester. 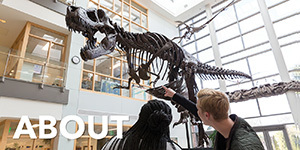 The school's weekly classical and jazz concert series are standing-room-only affairs, and the Concert Choir and Gospel Choir are nationally renowned. The School is also home to the Halsey Institute of Contemporary Art, a multidisciplinary laboratory featuring the work of emerging artists from around the world. The institute produces a half dozen exhibitions each year, in addition to hosting artist lectures, film screenings and events. The College is proud to be a partner of the Spoleto Festival USA, the premier arts festival in the country. For 17 unforgettable days every summer, the College and the city host 700 events spanning the best of international performing, literary and visual arts. Our students, faculty and staff also perform in Piccolo Spoleto, a fun-loving offshoot of the original festival designed to reach all residents of the region, young and old. Charleston is also home to numerous clubs and venues that feature a wide variety of live music ranging from bluegrass to jazz to contemporary rock and the blues. And several new music festivals have been added to the calendar in recent years, including the uber-popular Highwater Festival. Recent performances around the Charleston area include Kenny Wayne Shepherd Band, The Avett Brothers, Jake Owen, Shovels and Rope, Jason Isbell and the 400 Unit and Ed Sheeran. 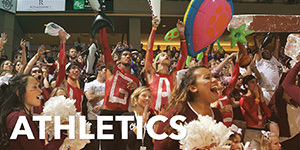 In addition, College of Charleston students are actors, sculptors, jazz drummers and a cappella singers. 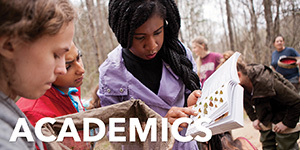 Nearly 5,000 students (half of all undergraduates) take a School of the Arts course each semester and some 600 are majors in visual arts, theatre, dance, music or computing in the arts. To better serve their needs, the College constructed a $27.2 million performance, rehearsal, studio and classroom space — the Marion and Wayland H. Cato Jr. Center for the Arts — which opened in 2010.